Why bother with a scarf? Now I know what you’re thinking. Scarves? Really? They’re not celebrated for being voguish and are one of the last things a guy considers when it comes to looking top notch. 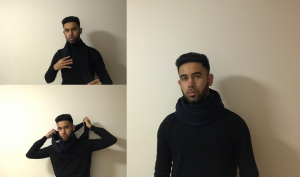 However, not only are scarves practical, protecting our bodies from mother nature’s unpredictability, they are also a great fashion tool to make you look classy during the festive season. 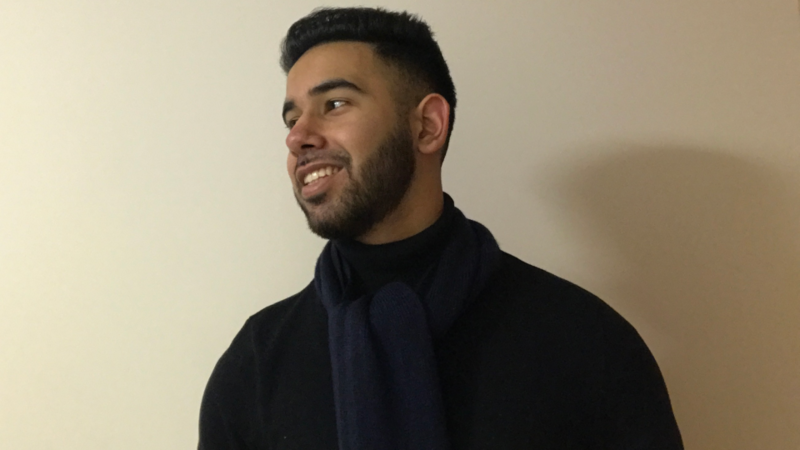 This simple yet efficient technique looks great with or without a jacket and can achieve a nice layered look. Simply drape the scarf around your neck and you’re set for the day. Known by many names, the French loop is a great way to accessorise with a scarf. It has been fashioned by the likes of David Beckham and is one of my personal favourites. It can provide a more formal look and works well with a long coat whilst maintaining functionality. Fold the scarf in half and hang it around your neck. With a hold on the two ends of the scarf, loop it into the closed end of the scarf and pull down like a tie. Depending on the material of the scarf, the top can become bulky and disrupt your comfort. I would only use this technique for thinner scarves. A very popular choice of knot for a more formal occasion. Dress this under a shirt provided the scarf is a thin material such as silk. If you’re coupling it with a scarf, one or two undone buttons should be enough to accentuate the outfit. A thicker scarf works well over a shirt tucked under a jacket. 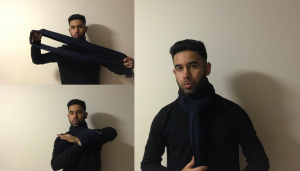 Drape the scarf over your neck allowing for one half of the scarf to run further down than the other half. Loop the longer end around, under and then back out again as if it were a tie. I prefer to think of this technique as The Serpent as it twists around you like a snake. Ideal for cold weather without the restraint of a tighter knotted scarf. 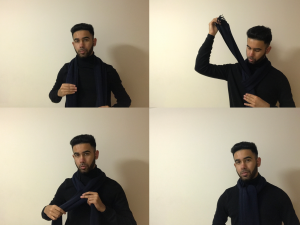 Starting with one end of the scarf around your shoulder, wrap the scarf around you tucking in both ends. Take good care to ensure the scarf doesn’t unwind.